Take the Jack the Ripper tour — creepy! What begins as a holiday trip for amateur sleuth and cooking aficionado Sadie Hoffmiller and her daughter, Breanna, turns into a bizarre mystery. First comes the discovery of a dead body in the sitting room of an English manor belonging to the family of Breanna's boyfriend, who is also heir to the family title. When the body comes up missing, Sadie and Breanna are stranded at the estate until the police can clear them to leave. Armed with a jogging whistle, her persona recipe collection, and an unfailing sense o American justice, Sadie begins her own investigation to find the killer. But when she seems to encounter one dead end after another, Sadie wonders if anyone is telling the truth — or if the case is really as hopeless as it appears to be. Layer by layer, Sadie uncovers a mouth- watering mystery with an English flair. Included are Sadie's favorite new recipes for American English Trifle, High Tea Lemon Cookies, Coconut Macaroons, Wake 'Em Up Breakfast Casserole, Sausage Rolls, Crumpets, and Sadie's Scrumptulicious Scones. "Drops of Grace and Mercy"
I really enjoyed this book that took place in England. The murder happens in the home they are staying in and it makes the book feel like a real-life version of the game Clue. I think this book is more predictable in many ways then other of her books, but jsut the same I really liked it. I would recommend this book to any adults and young adults out there. Very well done. English Trifle takes place in England. Sadie and her daughter investigate the murder of a body they found that went missing and everyone in the manor is suspect of being the killer. The investigation process is a bit different than it is in the States and Sadie and Breanna need to prove they really did find a dead body before they are taken seriously. 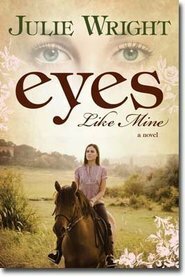 Again, Josi Kilpack does a great job of keeping you on your toes and makes it hard to put the book down. You think you have it figured out but then there's a twist to the story. But seriously, I loved the twists and turns in the plot, very few of which I saw coming. And it's always fun to romp in the English countryside. As always, Sadie's a bit on the preachy side, though I found her less so in this book than in Lemon Tart. And the recipes look wonderful! I made the eponymous trifle for my husband (he lived in Scotland for a few years and had fond memories of that dish). He loved it! Sadie is back! And she is as great as ever! I loved the England setting of this one and the mystery was really interesting. It was neat to have her daughter in it as well as it added a new dynamic. Another great book with great recipes! Picture a cool gray rainy day. For me that is the perfect kind of day to sit down with a good mystery. Josi Kilpack's 2nd Culinary Mystery, English Trifle, is just the mystery I chose to read on our cool gray Saturday. This book is fast moving and has a lot of twists and turns. More than once I thought I knew who did it and why, but I never suspected the real killer or the motive. 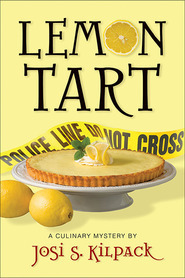 If possible, this book was even better than the 1st Culinary Mystery, Lemon Tart, written by Josi Kilpack. I didn't think there was any way that English Trifle could be as good as the first book in the series, "Lemon Tart", but I was very wrong. English Trifle was just as enticing and suspenseful as the Lemon Tart with some new and exciting characters. I highly recommend this book and any other book by Kilpack. I have not been disappointed yet! The next installment in Sadie's mystery series, after Lemon Tart, is English Trifle. And I liked it better than the first. This time Sadie and her daughter are in England and find a body over tea. Full of clever dialogue, compelling characters and solid mystery, English Trifle is one of the best books I've read in a while. English Trifle was a reader's delight! It was so enjoyable that as I read the book I had to tell my husband the story all the way along! I love all of Josi Kilpack's books, but this one was so fun! Full of mystery and suspense without any gore. The reader is given just enough clues to not shock us when we find out "who did it", but not enough to give it away too early either. I can't wait to read Devil's Food Cake! I REALLY ENJOYED "LEMON TART", BUT THIS NOVEL IS MUCH BETTER! GREAT CHARACTERIZATION - AND GREAT TWISTS AT THE END. LOOKING FORWARD TO THE NEXT ONE! English Trifle is yet another delightful culinary mystery by Josi Kilpack. The english destination and included recipes were fantastic! My favorites were definitely Sadie's Scrumptulicious Scones & the Chicken Tikka Masala. One is sweet, the other is spicy - just like Kilpack's writing. A delicious combination!